Hey, hey, mateys! Is your skin feeling dull and lifeless, in need of a pick me up? Well then, meet your mate, Exfolimate. It’s a top exfoliating tool for your face and body. And let me just say, this cool contraption will smooth you out in a snap – from head to toe! Perfect for right now, as we’re starting to wear skirts, shorts, dresses, tank tops – showing a little more skin. 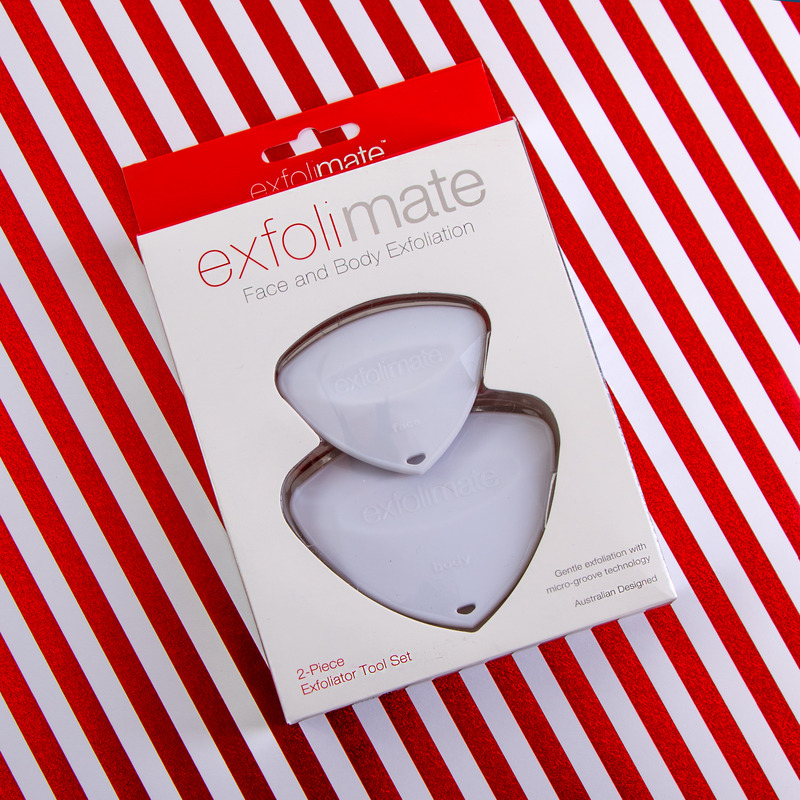 Australian designed Exfolimate is unlike any exfoliator I’ve ever used. It’s a 2-piece set, the smaller piece meant for the face, the larger for the body. Both have these micro grooves that just glide across your skin. The triangular shape allows them to easily reach all of your contours. They are great for daily use and work even better if you make them a part of your everyday routine (think refined pores and debris virtually non-existent). The result is nothing short of amazing. Just hold the Exfolimate at a 90-degree angle and gently slide the stainless steel edge across your wet skin using just a tad of pressure. That’s it! And, because it’s a naturally exfoliating tool as opposed to a scrub, there are no chemicals or harsh irritants. It will help to deliver younger looking skin. And works awesome as a prep for spray tans, waxing and shaving. You’ll even get better makeup application. This beauty set is bound to be your best mate. I’ve tried the scrubbing, vibrating brushes, but what’s so nice about this is there’s no replacing parts or build-up of product left. Run the edge under water after using and it’s ready to go next time. I’m loving this, my mates! Give it a try and tell me about your new found glowing, beyond smooth skin. This entry was posted in beauty tools, exfoliators and tagged beauty tips, exfoliate, smooth skin. Bookmark the permalink.